The Nash Community College Foundation awarded more than $240,000 in scholarships for the 2018-2019 academic year at the Scholarship Awards Program held Thursday, November 1, 2018. 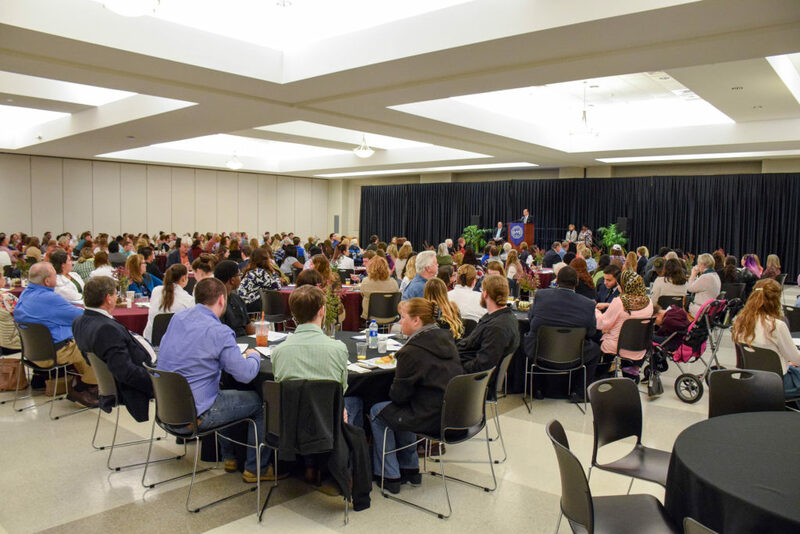 The forty-third annual event brings together scholarship recipients and their donors as students are awarded scholarship funds, and have an opportunity to express their gratitude. 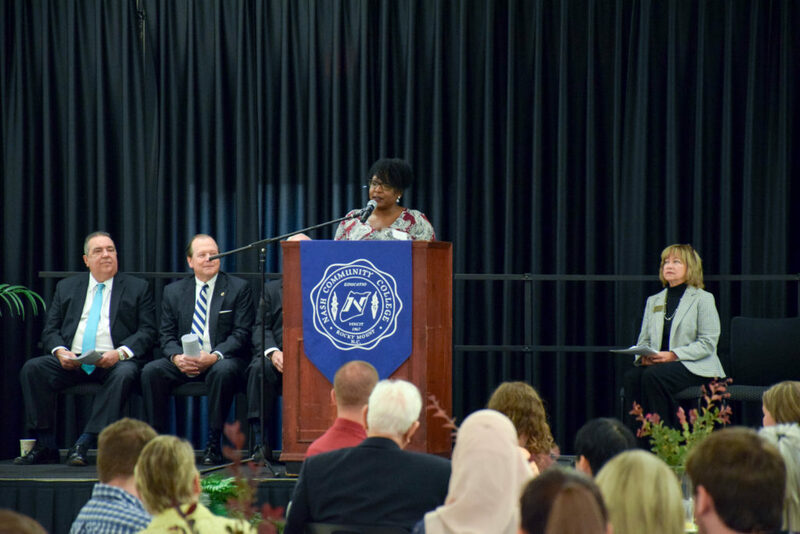 Since beginning in 1983, the Nash Community College Foundation has made its mark on the community sending forth skilled employees, and helping graduates launch careers. The local community and the volunteer Foundation Board of Directors have been most supportive in making student scholarships available for deserving students. “I risked everything to come to nursing school,” Boddie continued. “I left my job. I sold my house. And my daughter and I packed up and moved here to live with my parents so I could go to school.” Over the past two years, Boddie has received four scholarships, and served as a student ambassador during the 2017-18 academic year. As a Nash UNC Health Care Nurse Scholar, she explained her commitment to working at the hospital upon graduating and obtaining her nursing license. “To finally be fulfilling my dream of becoming a nurse is an amazing feeling, and because of your generous donations you have all helped make this possible for me,” Boddie said. For more information about the Nash Community College Foundation, please call (252) 451-8329 or email phballew947@nashcc.edu. The Nash Community College Foundation, Inc. is a tax-exempt, nonprofit 501 (c) (3) organization.